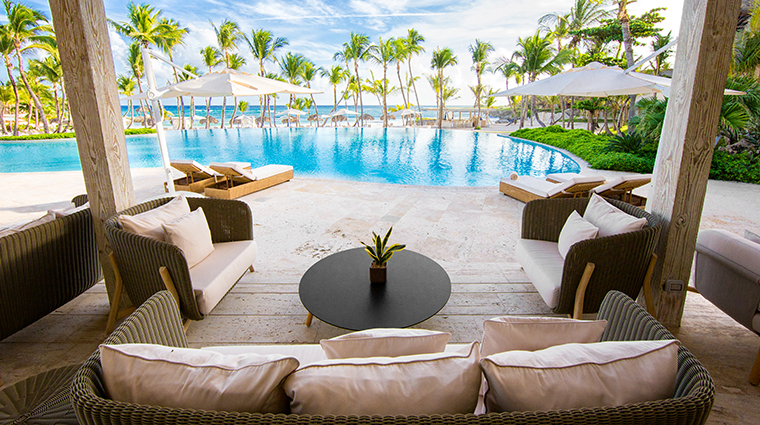 The Dominican Republic’s Eden Roc at Cap Cana feels like a posh village rather than a traditional resort. 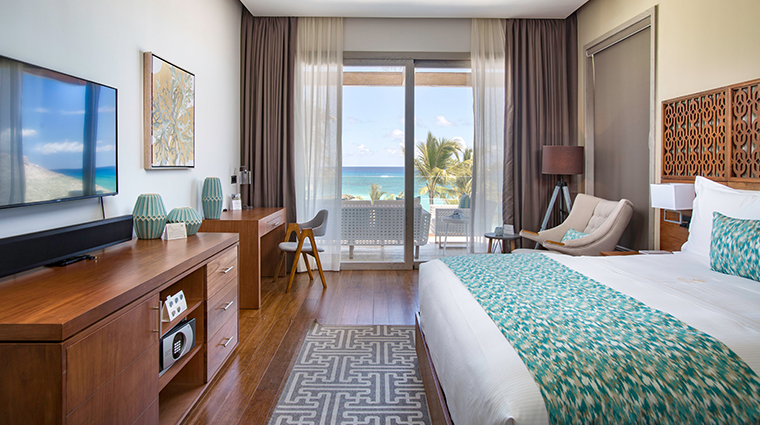 A 15-minute drive from Punta Cana International Airport on the country’s easternmost tip, Eden Roc has a design that celebrates the aesthetics of the 1960s French and Italian Rivieras while managing to stay relatively true to its Caribbean setting. 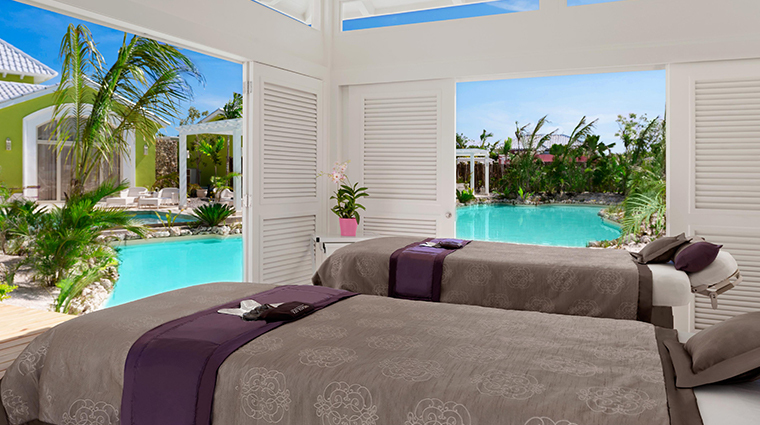 Part of the Dominican Republic’s 30,000-acre Cap Cana enclave, Eden Roc is a Relais & Châteaux property flush with lush gardens, jewel-toned villas and one of the prettiest sugar-white sand strips on the island. 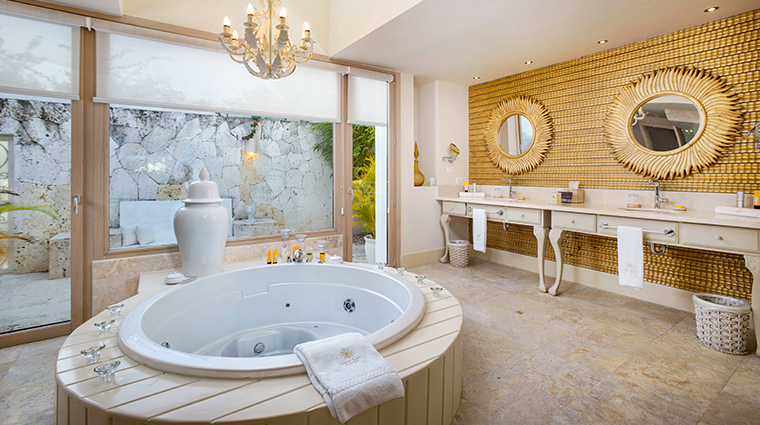 And when you need a little extra pampering, don't forget to stop by the resort's recently revamped Solaya Spa & Wellness Centre for island-inspired treatments featuring luxury skincare brand, Natura Bissé. 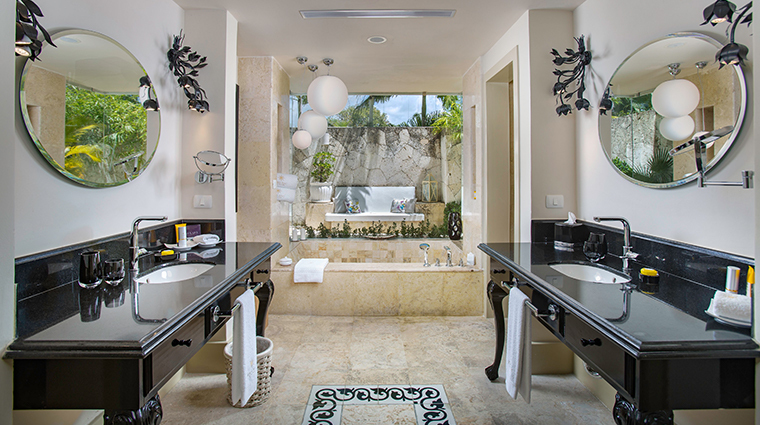 You’ll enjoy complimentary use of a private, electric golf cart to zip around the expansive (and gorgeous) grounds. 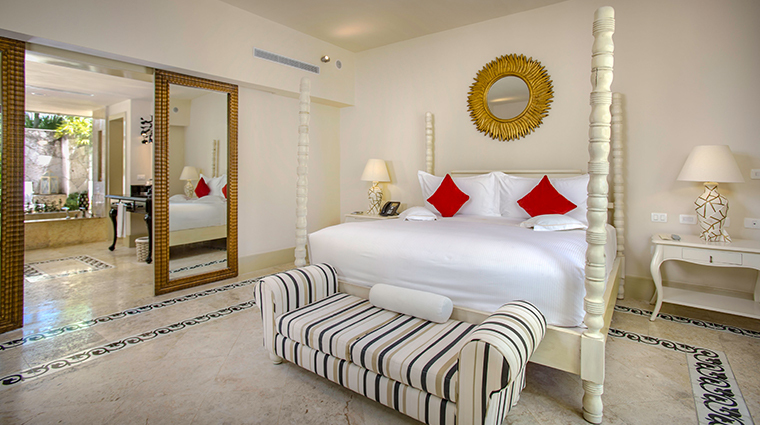 The hotel’s private beach club is a seaside haven with a host of amenities: beach butlers, infinity pool, restaurants, beach bar, spa, gym and a colorful kids club so you can drop the little ones for a few hours of total relaxation. On the premises of the Dominican Republic hotel is Punta Espada, a picturesque Jack Nicklaus-designed golf course (one of three in the vicinity) that many golfers flock to for its breathtaking scenery. 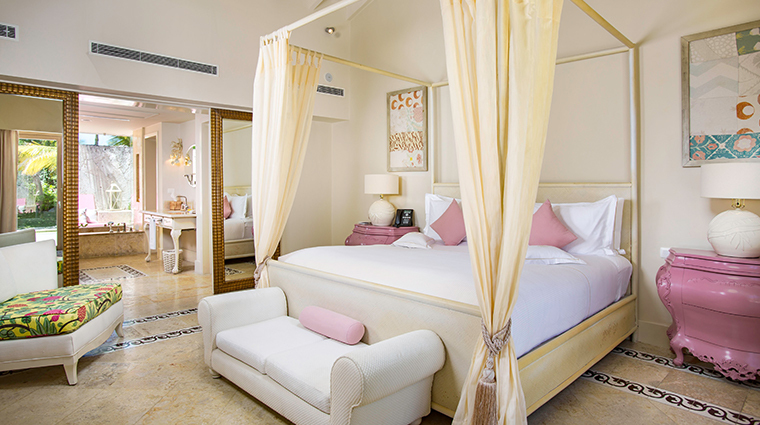 The recently revamped Solaya Spa & Wellness Centre is a must-visit for anyone in need of a little extra luxury. 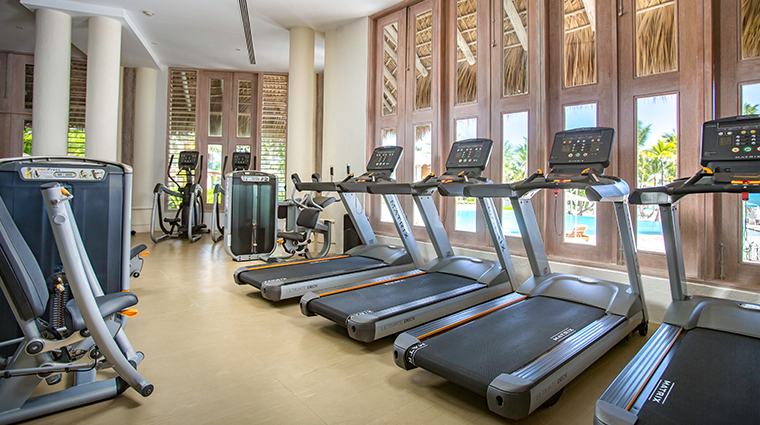 Boasting 12 indoor and outdoor treatment rooms, a dedicated 1,200-square-foot anti-gravity yoga area, a stunning Aqua Garden with a freshwater pool and a state-of-the-art gym (complete with juice bar), you'd be remiss to skip an afternoon of relaxation here. 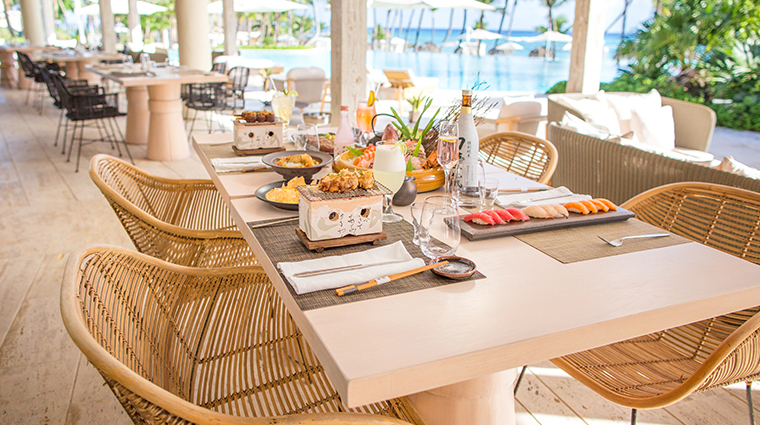 In addition to a host of amazing amenities, you’ll enjoy a complimentary daily breakfast at Mediterraneo Restaurant or Blue Grill + Bar. 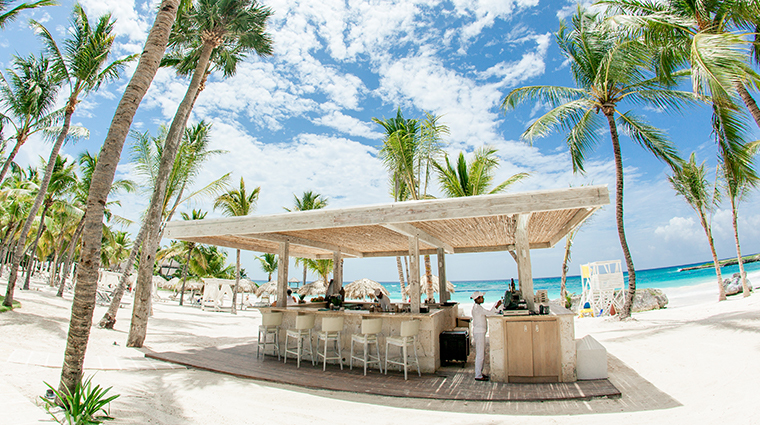 Local and international musicians like Luis Miguel and Diego el Cigala have even stopped by the Riva Bar for a drink and to play with the house piano player. 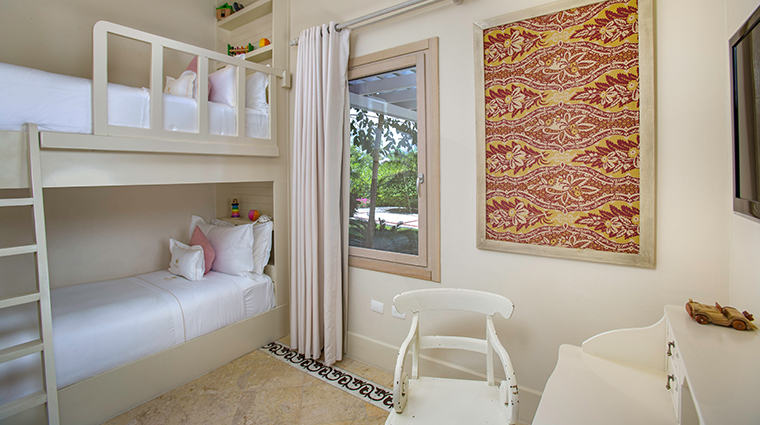 The Koko Kid's Club is the perfect perch for little ones, while mom and dad enjoy some alone time. 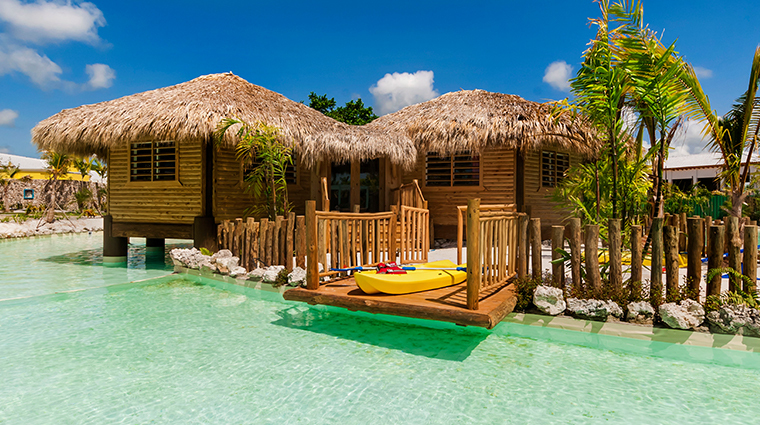 Located on a lagoon, it resembles massive three-story house equipped with video games even a mini-spa. Don’t leave your yacht behind. 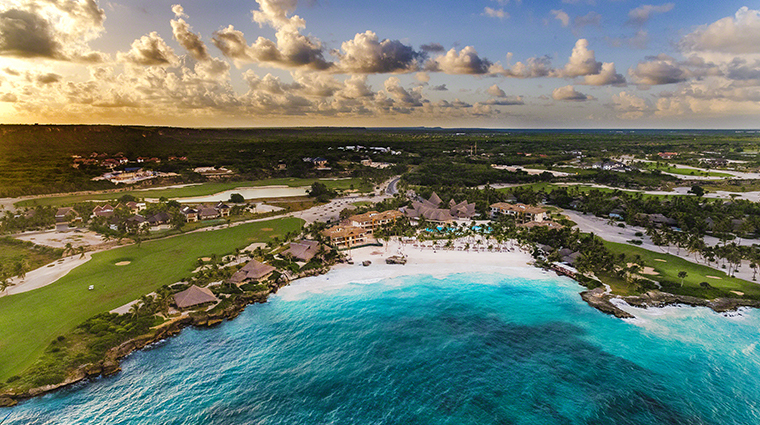 The Cap Cana resort boasts its own state-of-the-art marina with over 130 slips to accommodate vessels up to 150 feet so you can sail the pristine waters in style. 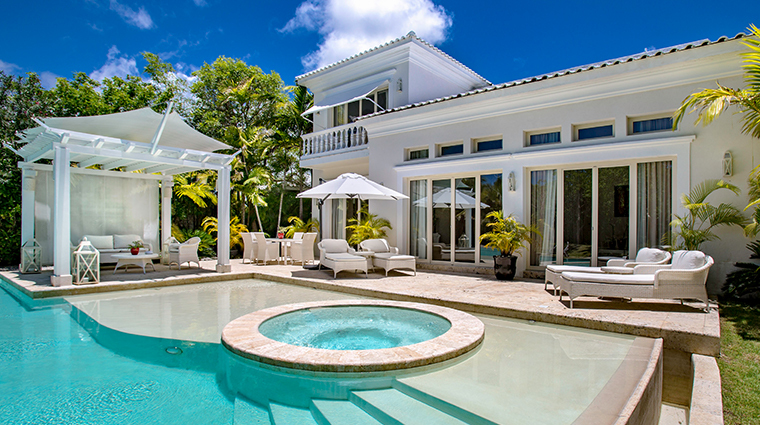 The property’s 34 spacious freestanding suites (ranging in size from one to four bedrooms, 800 square feet and up) are oases of tranquility with private swimming pools (not merely plunge pools) and covered gazebo lounge areas. The suites include all the amenities one might expect at a modern-luxe hotel: fast Wi-Fi, 55-inch flat-screen televisions, iPads, Nespresso coffee and tea machines and luxurious linens, plush towels and bath products from Acqua di Parma. 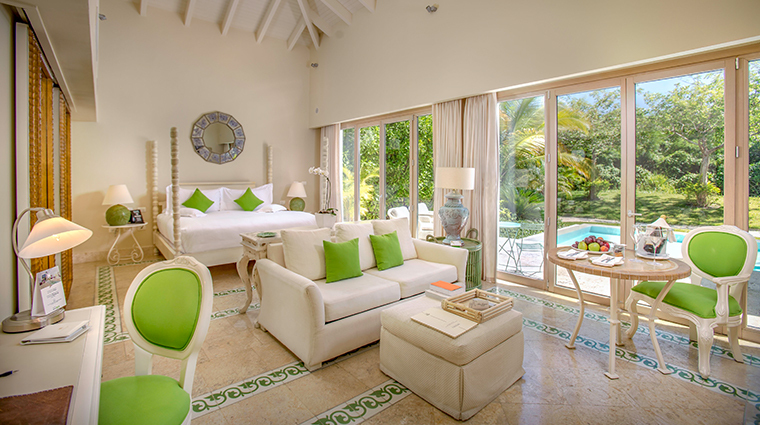 The Luxury Pool Family Suites overlook either the resort’s lush gardens or its magical lagoon and feature two bathrooms (with Jacuzzi tubs), a spacious living room and a master bedroom that joins to a secondary bedroom with bunk beds. 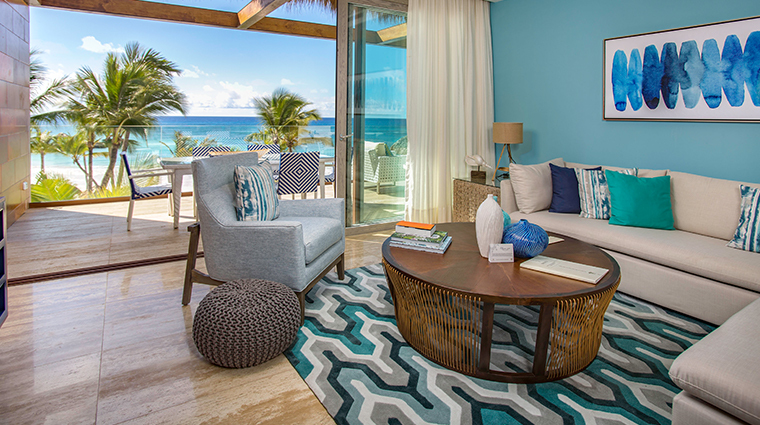 26 beachfront suites (starting at a spacious 1,194 square feet and up) were added to the hotel’s offerings in 2016. 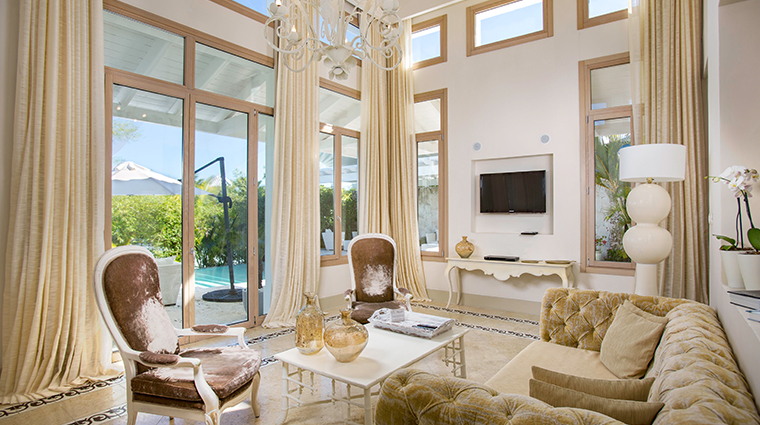 These have the ability to be configured into junior suites and one- and two-bedroom suites. 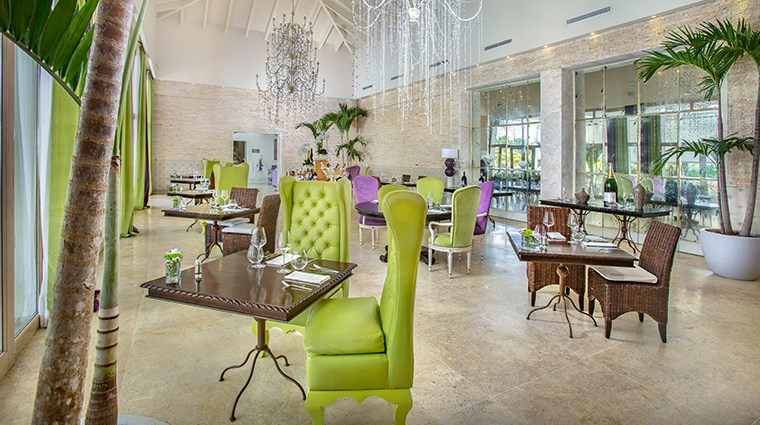 Mediterraneo Restaurant (where the lavish daily breakfast buffet spread is served) offers a Mediterranean-style menu in a terraced setting in the luxury hotel’s main building. 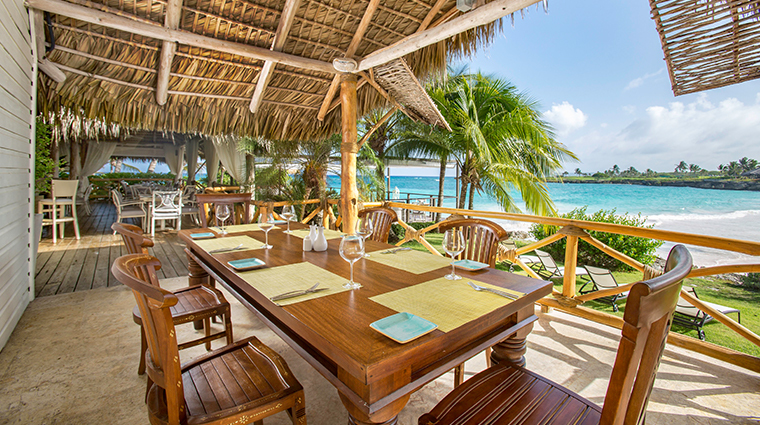 La Palapa, located at the Eden Roc Beach Club, is open for lunch and dinner, serving local seafood, hamburgers, pastas and sushi, alongside spectacular ocean views. 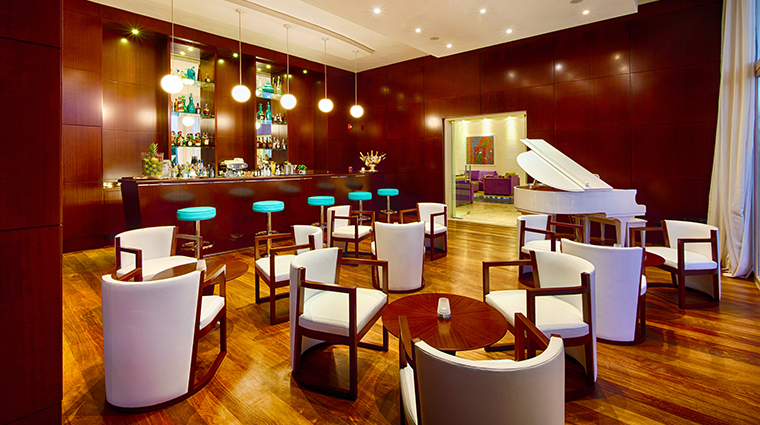 The indoor Riva Bar and beachside Uva Bar provide great spaces for cocktails after dinner or during the day. Blue Grill + Bar is a testament to the finer things in life, complete with a cigar cellar, wine tasting room and live music.